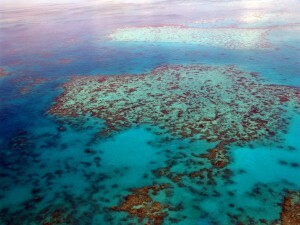 The Great Barrier Reef faces a number of challenges, many of which can be directly blamed on humans. However, the Crown-Of-Thorns Starfish is one exception – it is a sea creature that merely feeds on healthy coral, posing a threat to the reef. 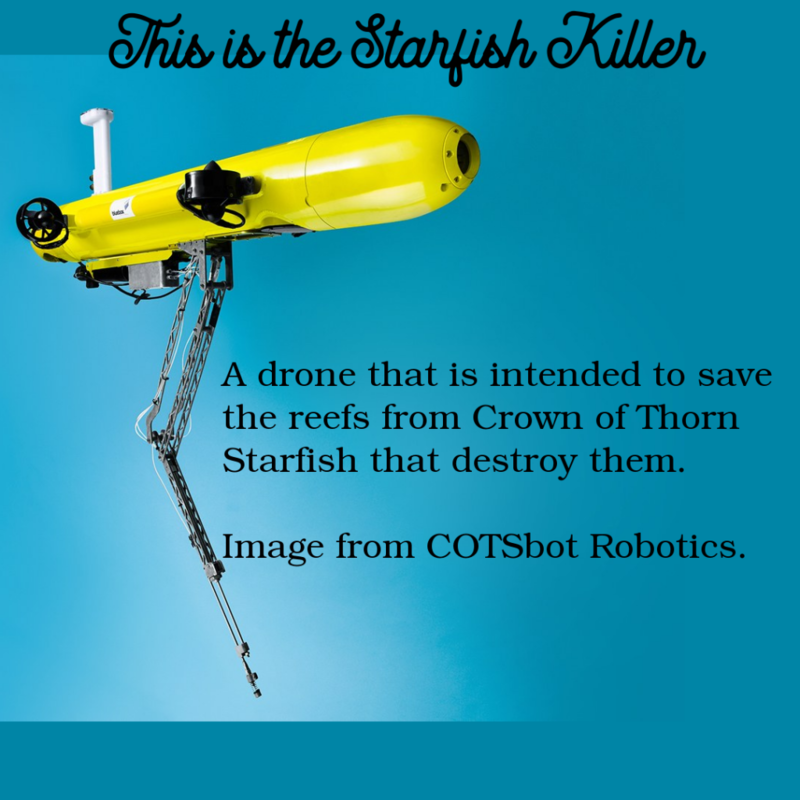 To deal with the problem, researchers at Queensland University of Technology initially created a technology known as the Crown-Of-Thorns Starfish robot (COTSbot). COTSbot was specially designed to seek out the starfish and inject them with a chemical concoction that eventually killed them. Now, a revised robot has been created to deal with the starfish population and protect the Great Barrier Reef once again. The same research team has created an underwater drone named “RangerBot.” It has thrusters instead of fins, and it’s coated in a bright yellow paint (Starr, 2018). However, “RangerBot” does a lot more than just control starfish populations, unlike its predecessor. The research team developed “RangerBot” to be able to monitor the health of the reef for spans of up to eight hours at a time. But perhaps most important, “RangerBot” is more effective and less expensive than human scuba divers, who would otherwise be tasked with the same responsibilities. 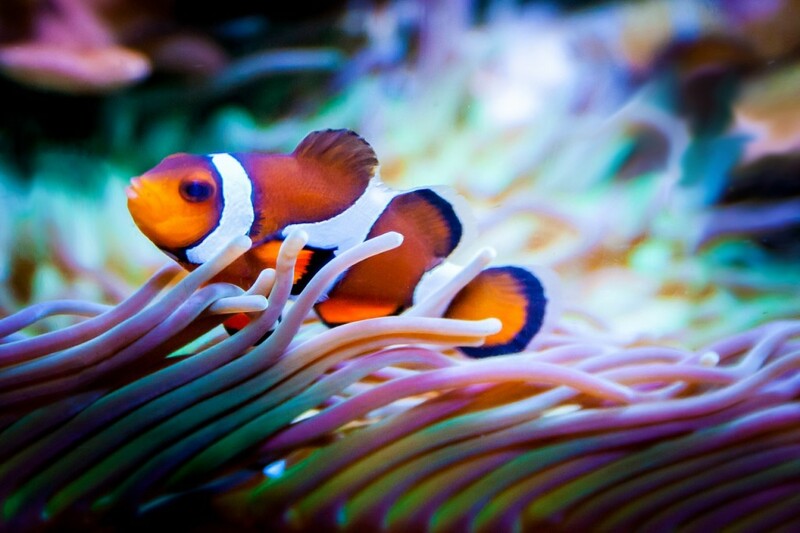 Luckily, it isn’t just this research team that is working to maintain the health of the reef. For example, marine advocacy group The Ocean Agency has partnered with Google to take its “Street View” concept underwater to observe the reef over time (Bisset, 2017). And as long as other advocacy groups and researchers continue to use their resources for good, there will always be a silver lining in the future for the Great Barrier Reef.